Reports in Texas indicate that Austin police suspect retaliation as a possible motive in the shooting of a Travis County Criminal District Court judge. The judge was attacked Friday night after returning home with some friends. She is said to be in stable condition with serious injuries. 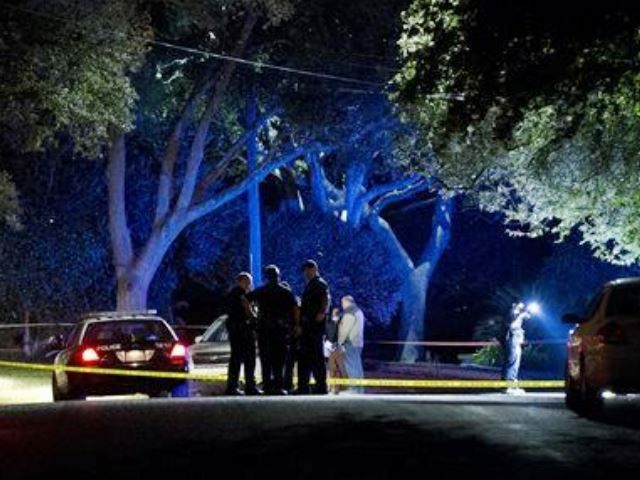 Upon returning home to her upscale neighborhood Friday night at about 10 p.m., Judge Julie Kocurek noticed a bag of trash or a garbage can blocking her security gate to her driveway, unnamed officials told the Austin American Statesman. The officials spoke off the record because of the on-going investigation and said they were not authorized to speak publicly. When her driver got out of her car to clear the pathway, an as-yet unidentified suspect opened fire, striking the judge. Law enforcement officials told the Statesman it appears the judge was struck by “flying glass and shrapnel,” rather than being directly hit by a bullet. No other passengers were struck by the gunfire. These same sources told the Statesman that retaliation was likely the motivation for the shooting. Judge Kocurek was taken to a nearby hospital where several other Travis County judges came to show support and concern. She was initially reported to be in critical condition, but that was upgraded to stable early on Saturday morning. Dudley McCalla, a neighbor of the judge’s, told reporters for the Statesman that he heard four shots ring out “in rapid succession. He said he and his wife were unable to see anything because of the darkness. Breitbart Texas reported that Kocurek has served as the presiding judge of the 390th District Court since it was created in January of 1999. She was appointed to the bench by then-Texas Governor George W. Bush. Since that time, she has handled several high-profile cases, including cases involving former Texas Governor Rick Perry and former U.S. House Majority Leader Tom DeLay, WYFF4 reported. She served as the criminal court administrative judge from 2011-14. She is the only Republican judge bench in the county’s history to have been elected to a Travis County Court. Kocurek was the latest criminal law official to be shot in Texas. In 2013, Kaufman County assistant district attorney Mark Hasse and the Kaufman County District Attorney Mike McClelland and his wife were all killed. Those killings also turned out to be retaliation.